Back to town for the day and night. 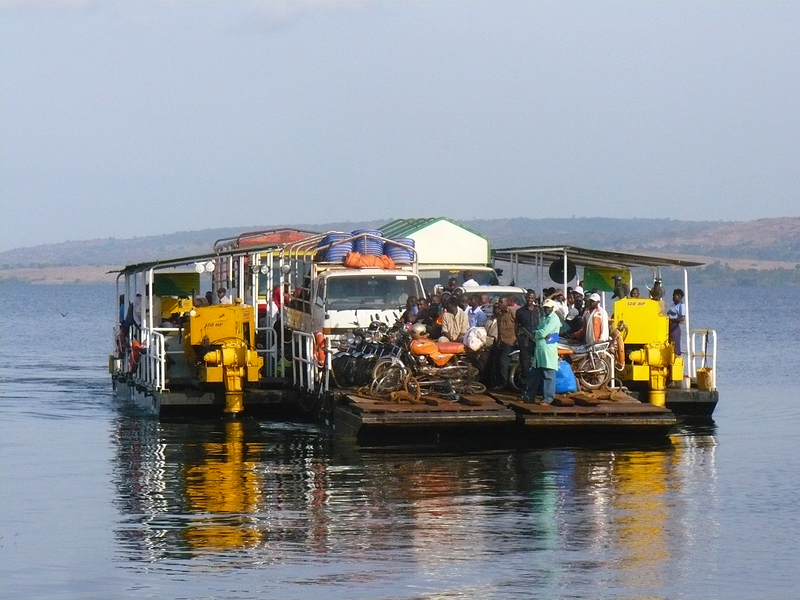 We headed out early this morning to make the journey to the ferry to take us to our last meeting on Buvuma Island. The road has been under major reconstruction for years now and they seem to be nearing the happy point. The happy point here in Uganda, according to my reckoning of local road construction, is that point when the inconvenience and delays caused by the work is finally surpassed by the improved quality of the driving surface of the road. They haven’t actually paved anything yet, but the surface is smooth and wide (it will be a major highway most of the way to the ferry stop when it is done) as opposed to its former state of narrow and full of barely navigable gullies, washouts and potholes. We used to take an arduous cross-country short-cut down valleys, through several swamps, and along very narrow tracks just to avoid having to spend so much time on this terrible road, but now it is finally quicker than the short-cut and a lot more pleasant. So…happy point! The ferry we might have taken today if it had been where it was supposed to be. This applies only to the latter part of the roadbed, because they haven’t yet touched the first half, and it is worse every time we drive it, so, I guess if I am honest, it’s still a hard-to-win combination. Still, with the improved back half, the trip only takes an hour for what used to be at least two. After traveling across all that this morning, we arrived at the ferry station to an empty dock. The ferry was gone. The officer there explained that it was suddenly called to Kome Island for some “emergency” (?) and might be back tonight for service Monday morning, heavy emphasis on the “might.” She kindly gave us her number and told us we could call her this evening to see if the ferry had returned. 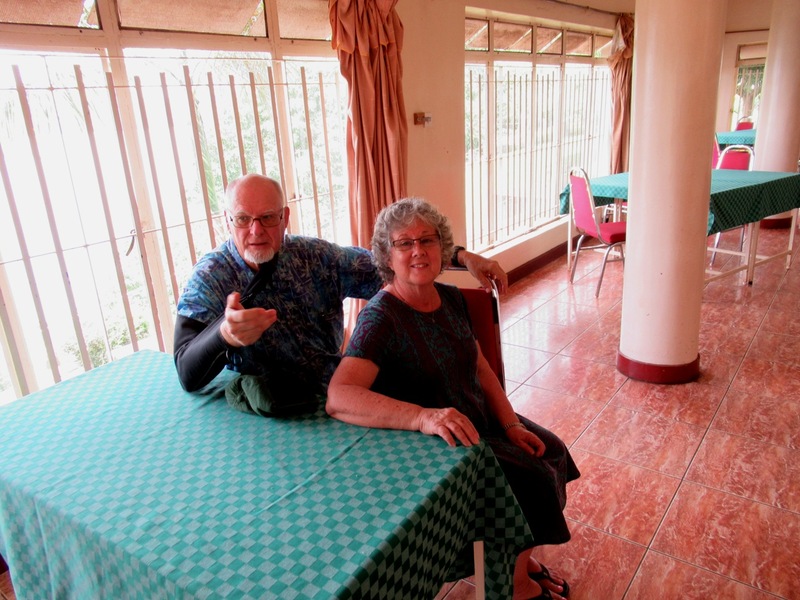 So, back to town and the guesthouse for a much needed Sabbath rest, which we have now taken and have enjoyed immensely. The officer has now told us that the ferry did indeed return this evening and that the cars and trucks that didn’t get to go today will be lining up early to get a place tomorrow morning. 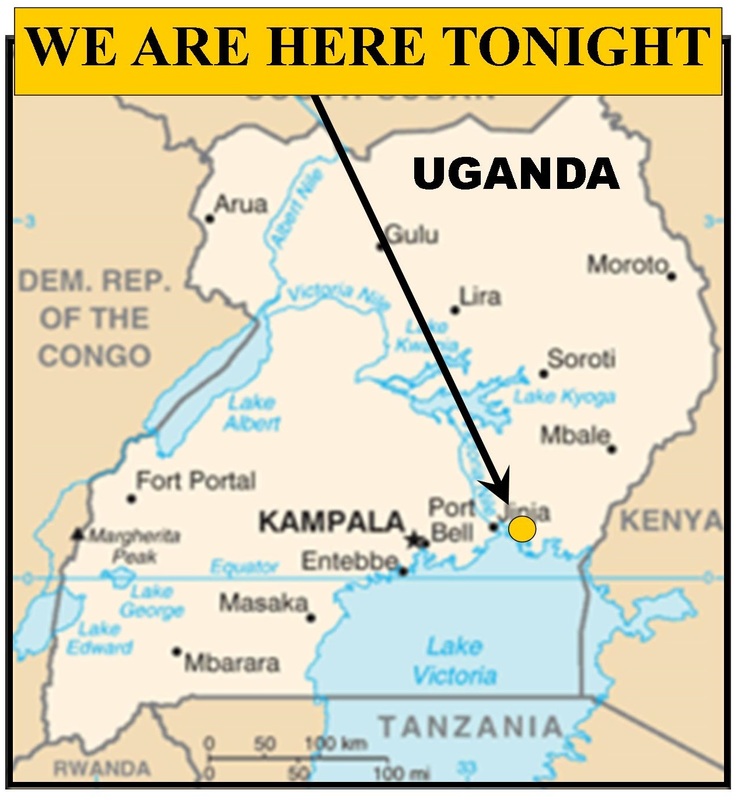 So we will be leaving the guesthouse in Jinja at 4 am to reach there by 5 am to get in line for the 7:30 a.m. ferry. Hope we make it. So we will be concluding our day of rest by going to bed early, which isn’t so bad, either. God bless you for the continued ministry that you are doing in Uganda.